We can’t stop, won’t stop talking about all things LACE. There’s just something so intriguing about this decadent fabric for prom. Could it be its feminine and flirty allure? Or possibly its versatile quality to transition easily from spring, summer to fall? Not quite sure what we love more. But for today’s special homage to lace, we’ve rounded up four undoubtedly hot styles with unique silhouettes worth drooling over…in the most fabulous way, of course! The first look screams hotness, particularly for its combined elements of frill, sweetness and bold aesthetic (i.e. the two-piece look with high-neck crop top). If you’re a girl in-the-know when it comes to fierce style, then we’re sure you’re aware that the popular crop top look has become a huge hit by fashion’s most revered editors, models, bloggers and the rest of the chic like-minded souls this past season. The second look is just all out striking with a dose of sultry, while still upholding all elements of classy girl elegance. And the mermaid silhouette. OMG that shape is just everything we need in life…and the party. But you’ll probably love it even more when you take a peek at the back. It’s the extra hint of hotness that’s most necessary in a breathtaking prom dress. The third look expresses so much femininity and loveliness, we just don’t know where to begin. From the soft, blushful hue, the sleek shape to the light and wispy godets, you’ll feel like you’re floating on the prom dance floor in all your angelic elegance. It’s a head-turner for sure! Our fourth pick meshes equal parts classic simplicity with the most stunning shape and neckline. 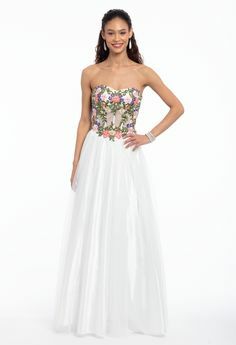 If you’re opting for a statuesque quality when searching for your prom dress, this dress is a truly captivating choice. It’s sculpted appeal with the strapless sweetheart neckline, tapered fit that flows down into the the red-carpet worthy mermaid flare earns this style high praise. Showcase this at prom and all your hot events. Just don’t be afraid when people stare…make it worth their while. Stay tuned for tomorrow’s hot style of the day! HAPPY SHOPPING, LOVES. 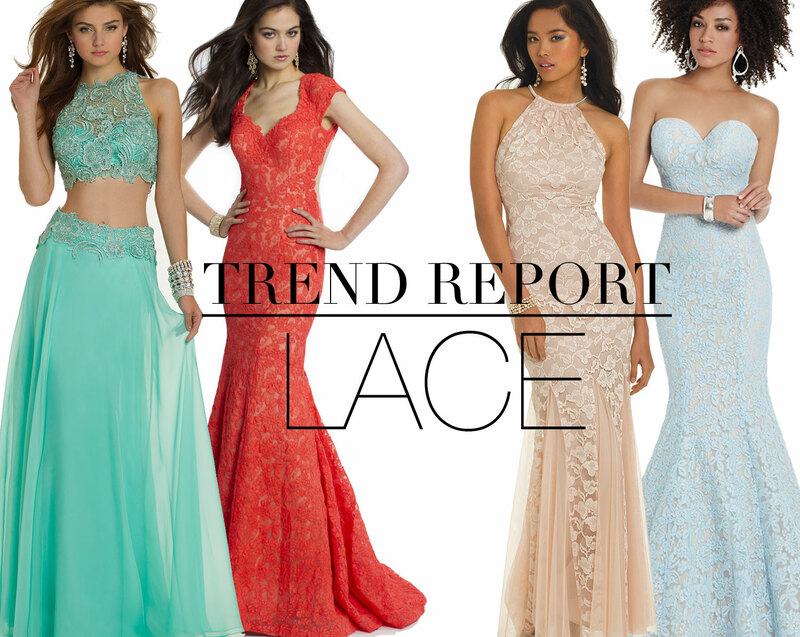 « Be Lovely in Lace for Prom 2014!